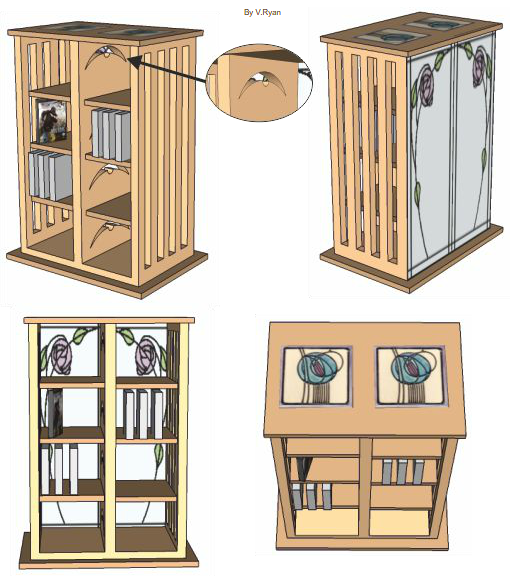 The DVD storage unit has been designed in the style of Charles Rennie Mackintosh. Features from the Mackintosh chairs have been combined with tiles based on a Mackintosh rose tile design. What do you think about the design seen above? Consider the Mackintosh design criteria when answering this question.